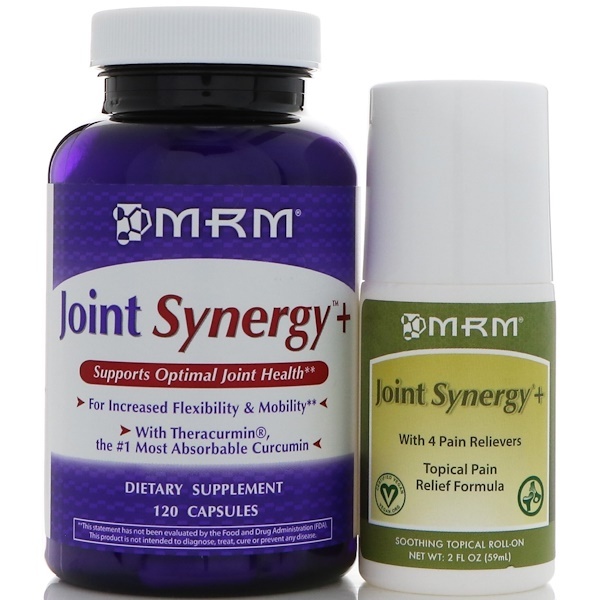 Joint Synergy+ Provides a systematic approach to joint care and repair. 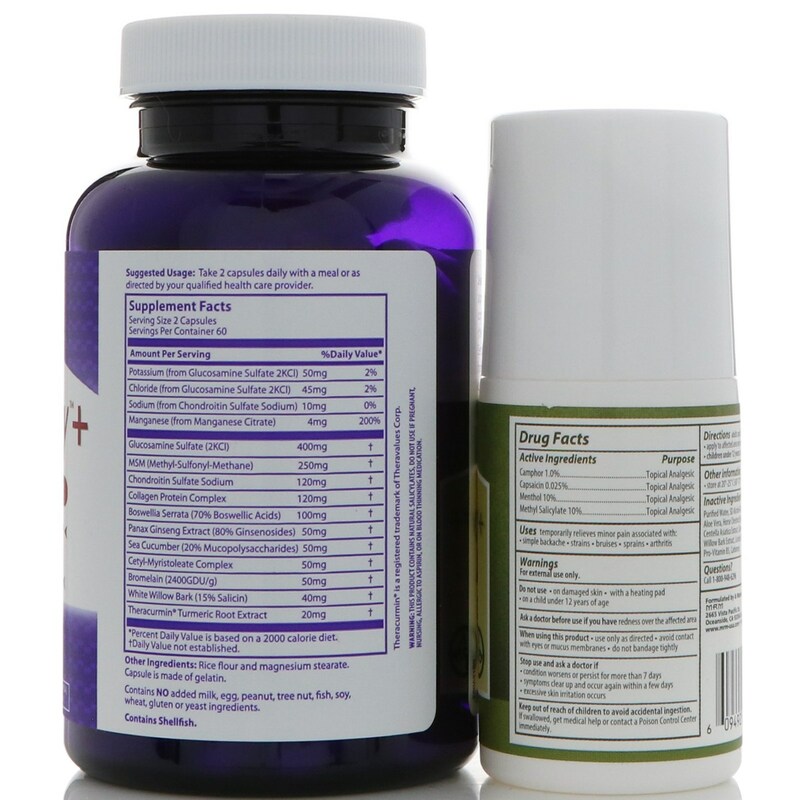 This comprehensive formula contains Theracurmin (the #1 absorbed form of curcumin), Boswellia Serrata and Panax Ginseng among others to help support joint health. Boswellic acids, curcuminoids and ginsenosides may provide relief to muscles, joints and surrounding connective tissue. Joint Synergy+ Topical Roll-on is a topical analgesic that is fast acting with clinically proven ingredients to provide fast, long-lasting relief for muscles and joints. 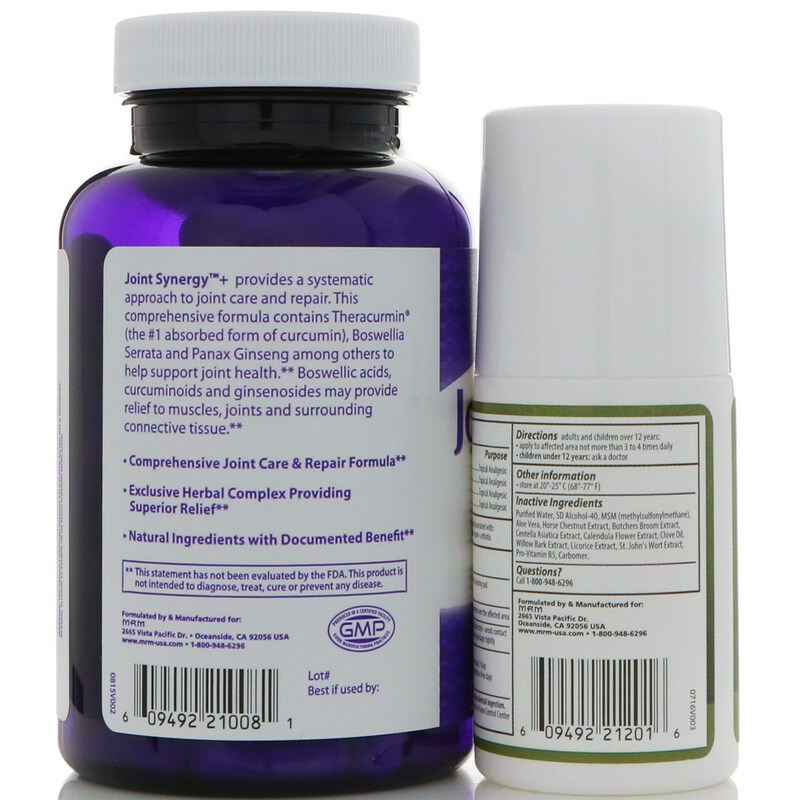 The active ingredients in Joint Synergy+ Roll-on (menthol, menthyl salicylate, camphor, capsaicin) represent a safe and effective means for pain management. Take 2 capsules daily with a meal or as directed by your qualified health care provider. Rice flour, and magnesium stearate. Capsule is made of gelatin. Purified water, SD alcohol-40, MSM (methylsulfonylmethane), aloe vera, horse chestnut extract, butchers broom extract, centella asiatica extract, calendula flower extract, clove oil, willow bark extract, licorice extract, st. john's wort extract, pro-vitamin B5, carbomer. This product contains natural salicylates, do not use if pregnant, nursing, allergic to aspirin, or on blood thinning medication. On a child under 12 years of age. Avoid contact with eyes or mucus membranes. Condition worsens or persist for more than 7 days.